AirPura C600W Replacement HEPA filters, Carbon filters, Pre filters. 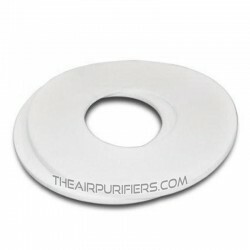 Fast Free shipping of AirPura C600W replacement filters in US and Canada. AirPura C600W (C600-W) Filters There are 4 products. AirPura C600W Carbon Filter is AirPura oversize replacement carbon filter for AirPura C600W central air purifier. " AirPura Central HEPA-Barrier Filter is a 95% efficiency HEPA-type allergen and dust filter for AirPura central air purifiers. AirPura Central Pre-Filter 4-pack is a Standard Polyester based pre-filter for AirPura central air purifiers.